Ignacio M. 'Nick' Rodriquez Jr.
Services are scheduled for 10 a.m. Saturday, March 5, at Trinity Temple Assembly of God for Ignacio M. Rodriguez of Artesia. 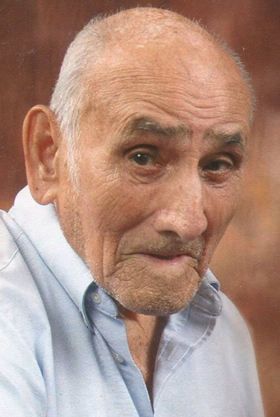 Rodriguez, 99, passed over to be with his loved ones Tuesday, March 1, 2016, at his home, per his request. Bobby Argo will officiate at the services, with interment to follow at Woodbine Cemetery. Pallbearers will be Nick Rodriquez Jr., David Carrasco, Tony Martinez Jr., Conrad Hernandez, Michael Sherwood and Steve Catano. Honorary pallbearers are Isaiah Catano, Stephen Catano and Jourdan Catano. Visitation will be held from 1-4 p.m. Friday at Terpening & Son Mortuary. A prayer service will be held at 6 p.m. Friday at Trinity Temple. Nick was born Feb. 7, 1917, in Artesia, the son of Jesus Rodriguez and Raquel (Analla) Rodriquez. He was a lifelong Artesia resident. He served his country with the United States Army in Europe during World War II. In September 1954, he married Eva M. Rodriquez in Carlsbad. Nick and Eva headed the inaugural Love Feast at Trinity Temple Assembly of God. He was a member of the American Legion, and he and Eva were the makers of the poppies distributed by the American Legion on Memorial Day. They also made the poppy flower crosses for the American Legion. Nick worked for 35 years at the Town House Cafeteria. He donated to the USO, Lebrave Indian School, the Wounded Warrior Project, Habitat for Humanity, and the Teen Challenge of Trinity Temple. He was a very patriotic man and flew the American flag with honor every day from dawn to dusk, not one minute before or after. He was also grand marshal for last year’s Homecoming Parade. Survivors include his children, Mary Rodriquez, Linda and Tony Martinez Jr., Delores and Lalo Juarez, and Nick Rodriquez Jr. and Teresa, all of Artesia, David and Sally Carrasco of Carlsbad, and Dora Gonzales and Don of Corrales; and numerous grandchildren, great-grandchildren, nieces and nephews. He was preceded in death by his wife on Sept. 10, 2009; his parents; and grandsons Christobal and Marty.